Vampire bats cause an estimated $30M/year in livestock deaths from rabies across the Americas, and recent attempts at reducing vampire bat populations via vampiricide have unexpectedly increased the overall burden of rabies. 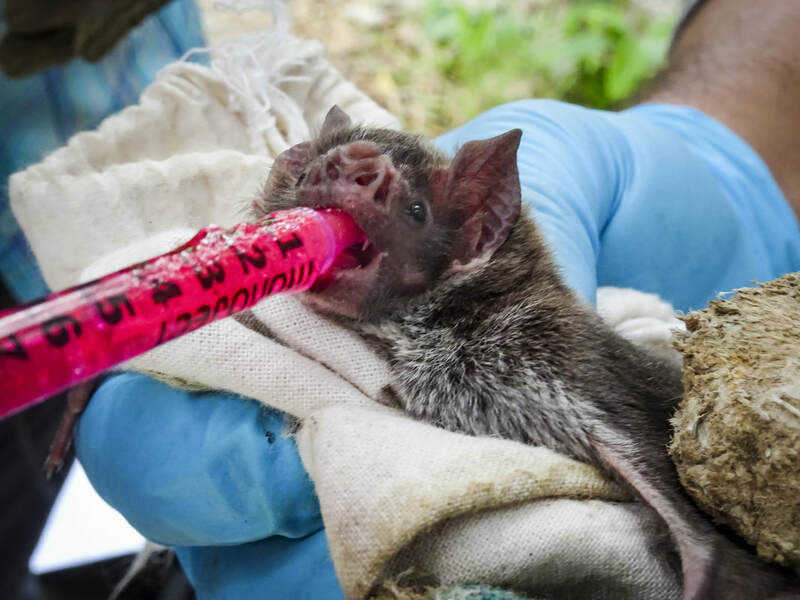 Recently, collaborators at the University of Wisconsin (Jorge Osorio) and the United States Geological Society (Tonie Rocke) have developed a topical rabies vaccine for use in bats. This work, funded by the Wellcome Trust, seeks to identify vaccine transmission parameters by utilizing biomarker tagging with mark/recapture studies. Additionally, these data will be incorporated into mathematical models to identify the effects of various immunization strategies. 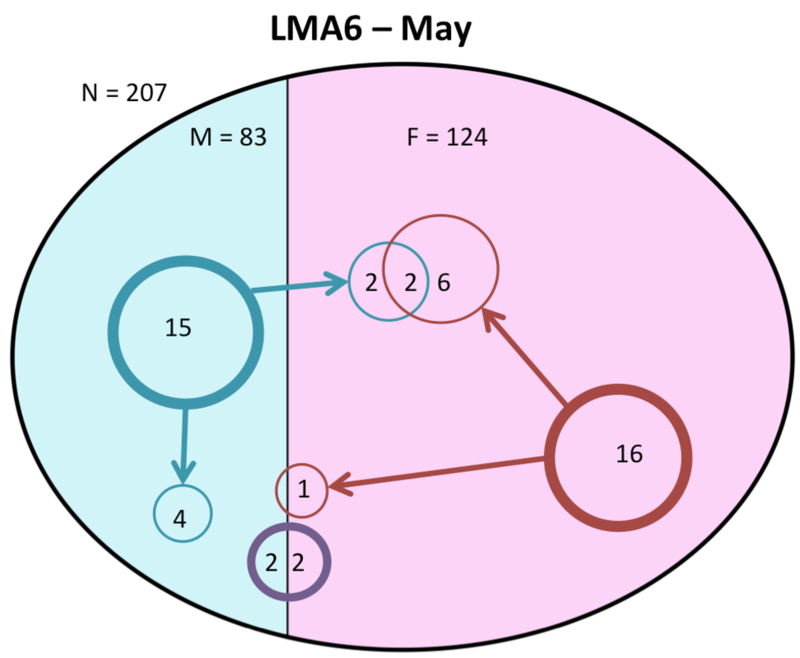 My role in this project is the modeling component, which will examine both within-colony and metapopulation rabies/vaccination. Below is a sample 2 year simulation of vaccination coverage within a single colony without rabies. On the x-axis is the proportion of the colony vaccinated, and on the y-axis is the transmission value of the vaccine. At Left: Our model, including both vaccine and rabies transmission. Individuals enter the V class from human intervention (vaccination). These bats are provided with oral and topical vaccine (see photos at top of page), and then released. Ideally they fly back to the colony where susceptible bats groom them, thus taking up the vaccine and moving into the Immune class. There are two immune classes, one from the vaccine and the other from natural exposure to rabies virus, without the manifestation of disease. We also examined contact rates within a colony using UV powder. 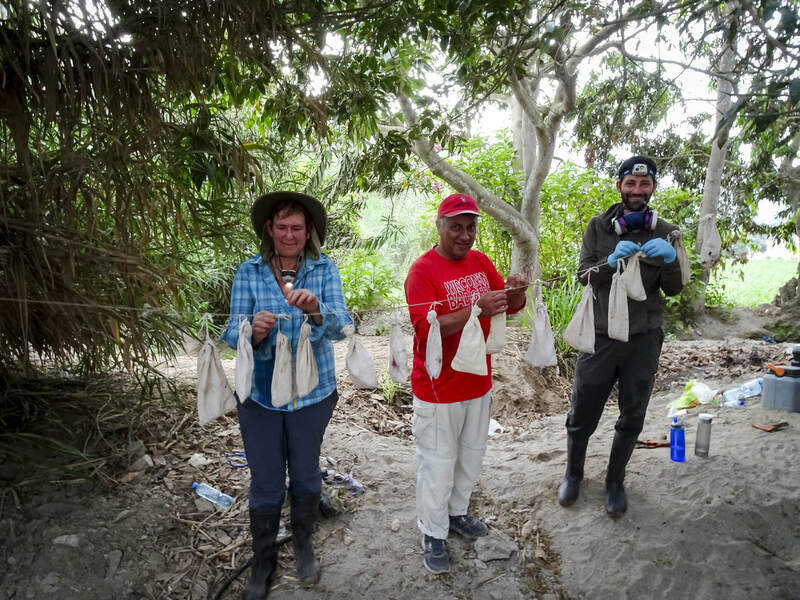 Below is an example population near Lima, Peru where we marked 15 males with blue powder, 4 juveniles with purple powder, and 16 females with red powder. After 2 days we returned and captured bats from this colony again, with a total of 4 new male and 4 new female captures showing blue UV, while 8 new female captures also showed signs of red UV powder. 2 newly captured females showed both blue and red UV powder. No newly captured bats demonstrated contact with juveniles (purple). 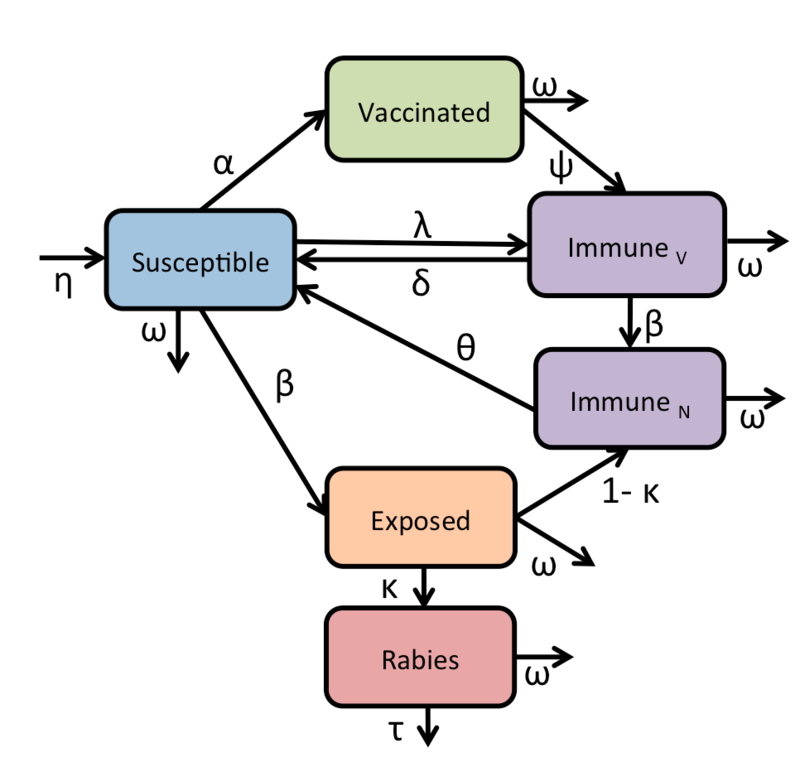 Clearly there is a bit more complexity to rabies (and vaccine) transmission dynamics than a single colony. My current work is focused on improving the gravity model I built in early Jan 2018. 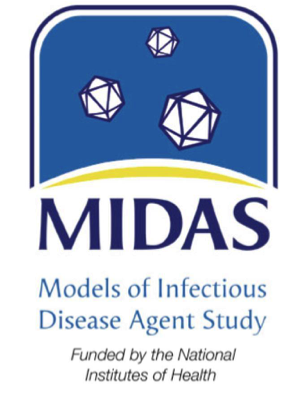 This model will examine bat movement between colonies and test various vaccination strategies, including; ring immunization, random, large colony-size focused, and building a wall of immune colonies. We will also examine preventative vs reactive strategies and whether timing has an impact (early in the year when there are pups being born vs late in the year when mating is occurring).